Sheets of fine silver and a curious wooden frame: a package that would puzzle many receivers has been delivered at the Istituto Lorenzo de’ Medici several weeks ago. The sender? 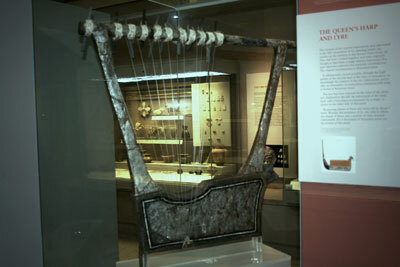 The Gold Lyre of Ur Project from the UK. After their successful participation at the Music in Museums conference last February, LdM decided to team up once again with this musical project based in Cambridgeshire, England. Students from our Restoration Department, under the professional guidance of profs. Carlotta Fuhs and Lorenzo Casamenti, will be working on a replica of a silver Lyre from ancient Mesopotamia. Completion of the project is expected in Spring 2015 and will amongst others be celebrated with an exhibition curated by our Marist-LdM MA Museum Studies students, and of course the first musical performance with the all new Mesopotamian instrument.